This file covers all the bases. 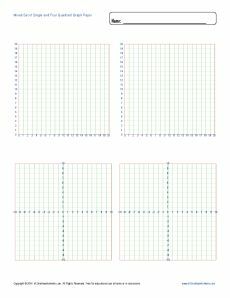 There's two single quadrant grids and two 4 quadrant grids in this mixed set of graph paper. Print one sheet or many, print in color or in black and white, it's up to you!